Keywords for Websites are used to identify and categorize the content within a web page,They help you find the information you need. Website Keywords are a Google SEO Ranking Factor. So lets jump wright in as we Aim to learn the Importance of Keywords and how to Find and place Keywords for Maximum Ranking effect. At the end of 2017, the number of reported internet users stood at 3.17 billion people. Regardless of the nature of your website, i.e. no matter how popular your blog or website subject is, it is highly unlikely this exact number of people will be searching for something covered by your website. Enter keywords for Websites. Types of Keywords There are four categories of keywords: Head Term Keywords, Informational keywords, Long Tail keywords, and Transactional keywords. Let us look at each of these. Head term keywords are short in nature and normally consist of 1-2 words. These types of keywords are often generic in nature; as such, they are highly competitive. Thousands of websites use them in one way or the other. For instance, keywords such as “money wealth, health, etc. are head term keywords. Head term keywords have tons of search volume. However, because of their generic and competitive nature, unless you are ok with appearing somewhere near the last pages of results (especially if your website is not an authority site) DO NOT try ranking for head terms. Informational keywords are exactly what the name suggests: keywords used to discover information on a specific subject. Depending on the niche, informational keywords often have great search volume. However, because they are informational in nature, they are not very good at conversion. Informational keywords contain the following phrases: ‘where, how, what’, and any other ‘question words’. Long tail keywords are more like phrases, or sentences. Long tail keywords are very specific and targeted. For instance, using our acne example, an example of a long tail keyword would be “how to cure acne without medication.” Because they are specific, and users using them to search for information are specific about the information they are searching for, long tail keywords are often the best keywords to rank for because they drive targeted traffic. Transactional keywords are exactly that: transactional in nature. Users using these types of keywords as their search queries are looking to make a purchase. Being being targeted keywords, these types of keywords are ideal converters. They are ideal for commercial or affiliate sites. Transactional keywords contain the phrases “buy, for sale, bargain, subscribe’, or any other phrase indicating someone with the intention to buy. The title tag is different from the page title. The title tag is the title of the link that appears on search engine results pages. Of course, if you want your link to appear first in SERPs, you have to add your keywords to it. The title tag is considered as the main summary of the site’s content, so make it count. This appears in the SERPs underneath the title tag. It gives people a more detailed summary of the page’s content. Usually, it is the first sentence of your page’s text. Having a keyword here will encourage people to click on your link, as they will see that the page is relevant to what they’re looking for. http://www.yourbusinessdomain.com/business-startup-marketing as this adds another signal for the spiders to see what your content or webpage is about. 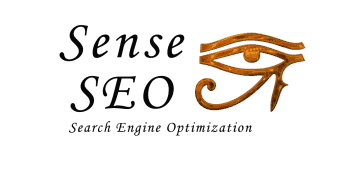 You could buy a keyword specific domain to help improve relevance to the keyword even further. This has been practiced for a long time and is also known as using an EMD, or an Exact Match Domain. With the new Google changes, there is now lowered priority for these EMD websites because of those that abuse it but if you promote it correctly, it still works great. Since search engine spiders cannot search the content of images and videos for keywords, it’s best that you place your keywords in your alt tags. By filling out your page alt tags with keywords and descriptions, you make it easier for people to know the content of an image/video without seeing it. Suffice it to say that the links to your website and its pages should have relevant keywords so that search engine spiders can direct people to a specific page, rather than take them to the main page of the website. Your links don’t always have to be assigned to an anchor text. Google can now factor in the words around the anchor text and the actual content itself. You can try to use other phrases as links,but make sure that these words and phrases are not only related to the site you’re linking to, but will also be relevant to the viewer. Keywords should be present on your page’s text,but make sure that the placements of the keywords is natural. The text should still make sense, and they should be grammatically correct. Consider your keyword density, based on the content of your page. Do you think you’ve already used your keywords enough or too much? The Importance of Keyword Research Having looked at the different categories of keywords, you may be wondering, “Which types of keywords should I aim to rank for?” The answer to that question is relative to the nature of your website. Regardless of the nature of your website, it is best to have a healthy mix of all keywords. For instance, if you own an eCommerce site, it would seem logical to concentrate on transactional keywords since they have a higher conversion rate. However, if you neglect using informational keywords, it is likely users will land on your sales page, but because it is lacking of product information, they will navigate away. Although the importance of keywords largely depends on their intended use. It’s never easy, but it’s extremely rewarding in the long run. If your website contains a lot of text and pages, then it might be difficult for you to choose the best keywords to use. This is where keyword grouping and organization comes in handy. DO this by simply grouping your keywords into sets, and just use each set on pages and subpages where the keywords will be relevant. By doing this, one page is optimized to suit a keyword group, while others will be tailored to include the other keyword groups. Grouping your keywords and using each set one time is an ideal way to organize your words and prevent keyword stuffing. While you can organize your keywords into groups manually (your spreadsheet software will be your best friend during your SEO journey,) there are plenty of tools which you can download or use from the Internet that will do the job for you. A couple examples are: Keyword Groupie and Keyword Grouper.